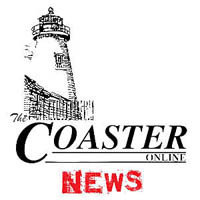 Members of the Bradley Beach Chamber of Commerce are receiving a letter from the organization’s newly elected President outlining the changes that have taken place to make the community a better place to live and do business. John Esposito, owner of the Beach Cinema, assumed the Chamber Presidency for 2016 and said he decided to send the letter to the Chamber’s members because he believed that many of the newer members are unaware of how things were just a few years ago. “Things weren’t always this good in Bradley Beach,” Esposito said, and he credits the Chamber’s close working relationship with Mayor Gary Engelstad in turning things around. “He really loves Bradley Beach,” Esposito said of Egelstad’s support for the Chamber’s initiatives, which include the Main Street Beautification campaign. He said the mayor even campaigned on the platform of wanting to improve the appearance of the borough’s Main Street business district. According to the letter, when the Chamber was formed in November of 2004, there were many empty storefronts in the business district which looked neglected and at night was deserted. During the Holiday season, decorations consisted of one string of lights at either end of town and very few lights in Riley Park. The town formed a Main Street Beautification Committee to address these problems and with the help of former Mayor Julie Schreck, they also formed a Garden Club. The Beautification Committee worked with the Tourism Commission and its former Director, Rae Tutella, and the borough to pay for hanging flower baskets, snowflakes and seasonal banners on Main Street. The holiday banners were donated by Del Ponte’s Bakery. The borough’s annual Lobster Fest fundraiser has become a major event on the Jersey Shore, bringing in large crowds as has the annual Bradley Beach Restaurant Tour. The Chamber also helped create and sponsor the Howl-O-Ween and Pooch Parade Festival which will hopefully become an annual event. Esposito is also happy about the number of new businesses in Bradley Beach and wants business owners to know that the Chamber is there to support them. In addition to Esposito, the Chamber letter is signed by Outgoing President Brenda Connolly, Vice President Beth Cotler and Executive Director Shirley Ayers on behalf of the Board of Directors.